The Eland Cave rock art shelter in the Drakensberg Mountains is one of the most famous sites in South Africa and with good reason, it contains over 1700 paintings including some fascinating mystical figures, a beehive and even a moth/butterfly. 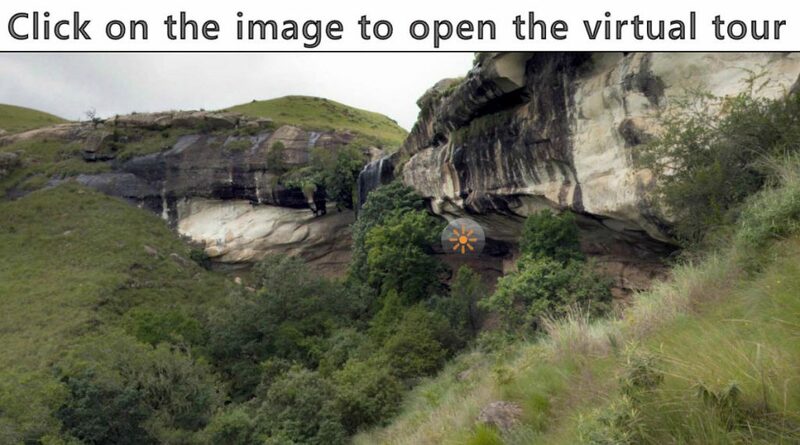 Game Pass Shelter is located in Maloti Drakensberg Park (MDP) World Heritage Site and is one of the best preserved rock art sites in the country. The main frieze features a magnificent herd of eland, South Africa’s largest antelope, with smaller human figures in running postures. 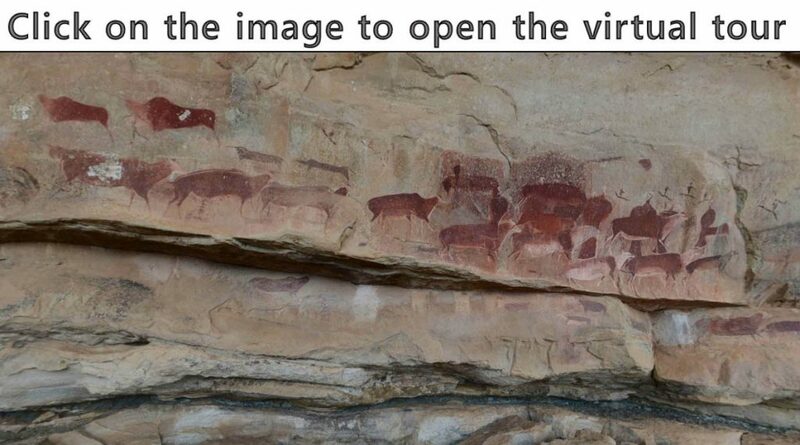 This site also contains a panel that has been dubbed the ‘Rosetta Stone of Southern African rock art’ because it was in these paintings that archaeologists first uncovered a vital key to understanding the symbolism of San rock art. Drakensberg rock art was first thought to be simple reproductions of everyday life by a primitive people, but this panel shows mystical images seen by the Shamans (healers) during a state of trance that reveals the complex spiritual beliefs of the San.